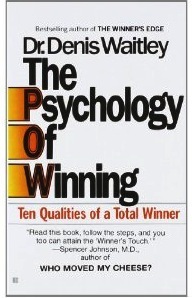 Denis Waitley has studied and counseled winners in every field from Apollo astronauts to Superbowl champions, from sales achievers to government leaders and youth groups. During the 1980’s, he served as Chairman of Psychology on the U. S. Olympic Committee’s Sports Medicine Council, responsible for performance enhancement of all U. S. Olympic athletes. Dr. Waitley is a founding director of the National Council on Self-Esteem and the President’s Council on Vocational Education, and recently received the “Youth Flame Award” from the National Council on Youth Leadership for his outstanding contribution to high school youth leadership. As president of the International Society for Advanced Education, inspired by Dr. Jonas Salk, he counseled returning POWs from Viet Nam and conducted simulation and stress management seminars for Apollo astronauts. A graduate of the U. S. Naval Academy at Annapolis, and former Navy pilot, he holds a doctorate degree in human behavior. Upcoming shows will feature: Asset Protection Attorney Mark Kholer, Marketing Guru Ted Nicholas, Federal Reserve Commentator Andre Eggeletion, Video Marketer Mike Koenigs, Internet Money Machine Yanik Silver, Organizational Expert David Allen and many other thought leaders.